Whilst the inscriptions will be of huge assistance to identifying an ancient coin sometimes they are simply not legible, either through the steady wear of overuse or the ravages of spending nearly two thousand years in the soil: it’s a hazard of the job. Nevertheless in these circumstances recognising the bust can help you attribute the coin to an emperor and thus a date. As you become accustomed to their portraits a few traits become apparent – although they are by no means a steadfast rule. AD 235-296 – The most noticeable feature of these coins are the radiate crowns which the emperors wear, also there is a great turnover of leaders at this point in the empire’s history. There is a fair amount of variance in their portraits from clean shaven youth, to extravagant curly beards of experience, so these will test your perseverance a bit! AD 300+ the radiate crown disappears being replaced by diadems and laureates as well as very stylized portraits. Although I would love to create a complete portrait list of roman emperors this has already been done several times elsewhere and I see no need to re-invent the wheel, therefore I can only point you towards such a great reference site and hope it’ll be useful to you. The above website in particular has proved to me to be extremely useful as it offers a chronological list of Roman emperors complete with the dates of their reigns and extensive photographs of well preserved coins allowing you to compare portraits. Indeed it is not alone, the website http://www.wildwinds.com/coins/ric/i.html is also hugely useful in coin attribution. 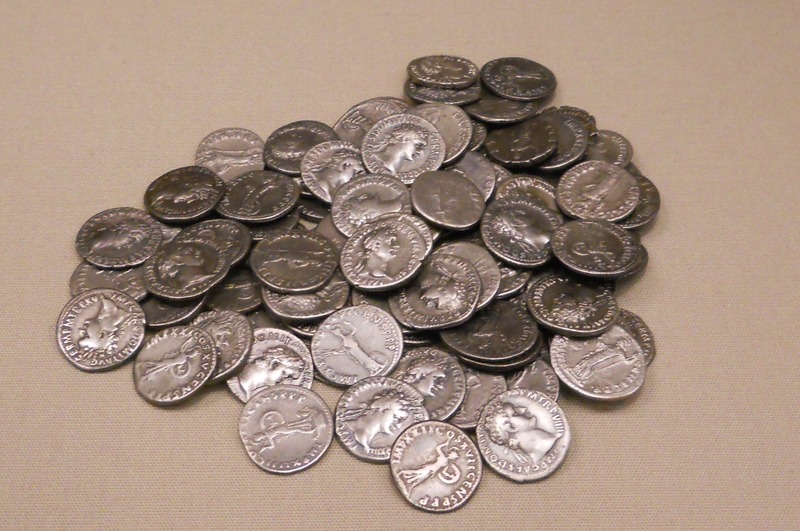 Like many things in life it will take time and experience to become familiar with Roman coins but there are some very useful resources available on the internet and hopefully these pages posted here and the links to external sites may help.